Because of increasing cases, suicide has become a part of everyday conversation in living rooms these days in Ladakh. And yet, there is no or little understanding of why it happens. 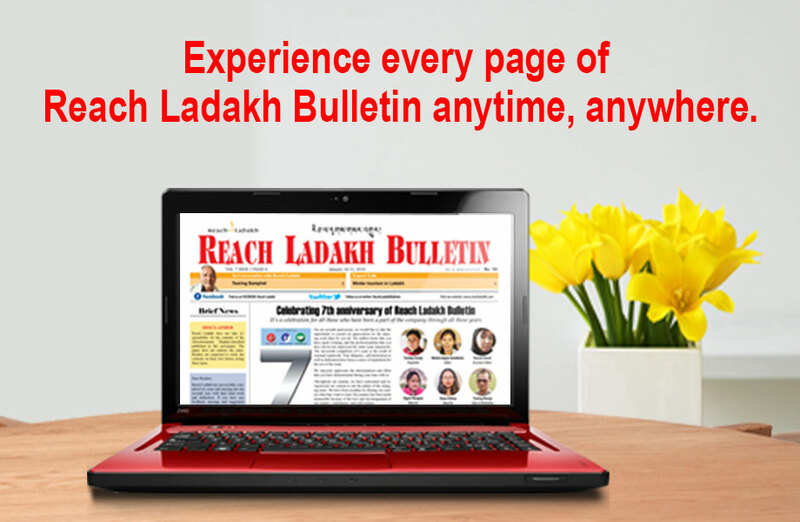 Change is inevitable everywhere, and hence Ladakh is also going through many changes. Our society is exposed to a large variety of western influences. The age-old virtues and values are being gradually eroded in the face of these influences. Practices unheard of have become common among the young. Our social fabric is deteriorating. The bonds between families today are not as strong as they were earlier. This year alone, five suicide cases have been registered at police station, Leh. The correct figure may be more as there may be many unreported cases. The problem has been there in our society for a long time but no collective effort has been done to prevent it. Ladakh is not the same place as it used to be in the past where people were happy and satisfied with their basic needs. We need to understand that something is wrong with our society. Our socialisation is such that we are not trained or educated how to cope up with difficult life situations, and the result in the lack of coping up and problem-solving skills. Our education system is based upon marks and not upon the overall personality development of a child. Wholesome education is what we need at the moment. The upbringing of a child starts in the family by putting pressures on their child to be successful. In this rat race, youngsters become the victims and ultimately take the unfortunate step to end their life. The gap between the parents and their children needs to be filled up. Parents should teach them how to cope up with their life even when the situation gets worse. They should also teach that failure is a part of life and it is okay to fail. If it is taken as a lesson, one can achieve a lot of things in life. Today parents are expecting a lot from their children, which sometimes becomes a problem for them. Family members rarely discuss suicide thoughts, even of suffering, honestly with one another, especially when the issues involve one of the great stigmas in our society- mental illness. People fear being judged as weak, inadequate or flawed. One common thread running through all these suicides has escaped our collective attention - the loss of hope among the young, educated victims trapped in a system that has failed them. Suicides could have been prevented with appropriate counselling. We need more psychologists and counsellors who can guide them in the right direction before taking the extreme step. Whether the suicide was impulsive or well-planned, one thing is certain: no one attempts to end his/her life unless he/she loses all hopes. Many people suffering from depression mistakenly see suicide as the only way to stop their agony, which is not true. While there are often warning signs, it can be hard to know what's normal moodiness and what's a potential crisis. But ignoring, problems won't make them go away, and young people need to realise that parents will be there for them whenever they feel insecure. We need to understand what pushes people into taking such an extreme step? The story isn’t about morality or character. Instead, it involves biology, genetics, problem-solving skills, coping up mechanisms, and family dynamics. Psychologists have struggled, just like everyone else, to make a sense of suicide. French sociologist Émile Durkheim had examined the cultural and social factors which influenced suicide tendencies. He came up with three categories of suicides. The first was egoistic, which applied to anyone who was socially isolated. The second was altruistic, the result of a person being too integrated into a social group, like soldiers who sacrificed their lives in battle. The third condition was anomic, the consequence of a drastic disruption to the life of a well-integrated person. One may safely say that a key reason for suicides is the growing gap between the aspirations of educated youth, for example, to freely choose their life partner or live a life free of social prejudices, and the reality of a harsh, inflexible and uncertain society in which they find themselves trying hard to find a foothold. There is a need for an open dialogue to challenge the stigma surrounding mental health; the building of life skills in schools to strengthen emotional regulation. Indeed, we need to fix many aspects of our system if we are to stem this tragic tide.